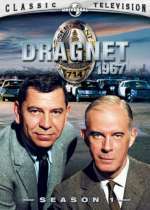 Dragnet (1967): Mystery and Suspense on Television. 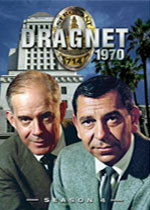 Dragnet aired on NBC from January 1967 through April 1970 and included 98 episodes over 4 seasons. The series starred Jack Webb as Sgt. 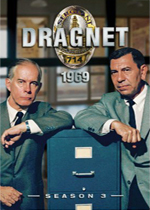 Joe Friday and Harry Morgan as his partner Officer Bill Gannon. 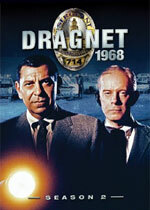 Created by Webb, Dragnet had its origins on radio running from 1948 through 1957. Webb also took the series to television in 1951 where it ran on NBC until 1959. An update of the series, starring Ed O'Neill as Lt. Joe Friday, was syndicated from September 1989 through September 1990. 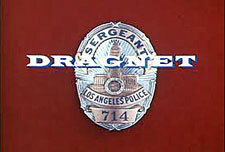 A comedy movie loosely based on the series, Dragnet, was released in 1987 starring Dan Aykroyd and Tom Hanks.